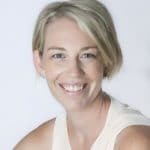 Naturopath, Personal Trainer, SpeakerPam helps ambitious women prioritise their health and wellbeing.Through her expertise as a naturopath, nutritionist and personal trainer she enables women to take control of their mental health and various health conditions through natural medicine and healthy lifestyle changes. She offers realistic ways to create a happier and healthier life.When she isn’t running her business, you can find her on the hockey field or creating some delicious food for her husband and kids. Pam has had her own personal journey through high-performance sporting and career roles where she shifted from burnout, depression, and anxiety to balance and bouncing forward. Pam helps ambitious women prioritise their health and wellbeing. Through her expertise as a naturopath, nutritionist and personal trainer she enables women to take control of their mental health and various health conditions through natural medicine and healthy lifestyle changes. 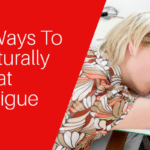 She offers realistic ways to create a happier and healthier life. When she isn’t running her business, you can find her on the hockey field or creating some delicious food for her husband and kids. Pam has had her own personal journey through high-performance sporting and career roles where she shifted from burnout, depression, and anxiety to balance and bouncing forward. 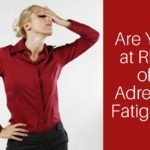 Are You at Risk of Adrenal Fatigue?